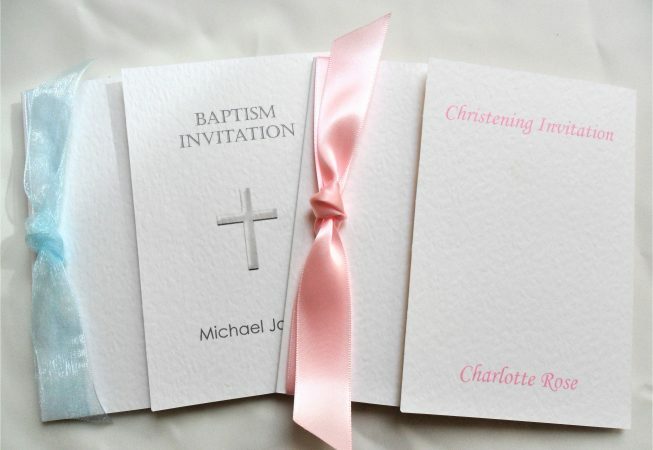 Square Gatefold Christening Invitations, Baptism Invites, Naming Ceremony Invitations or First Holy Communion Invitations. 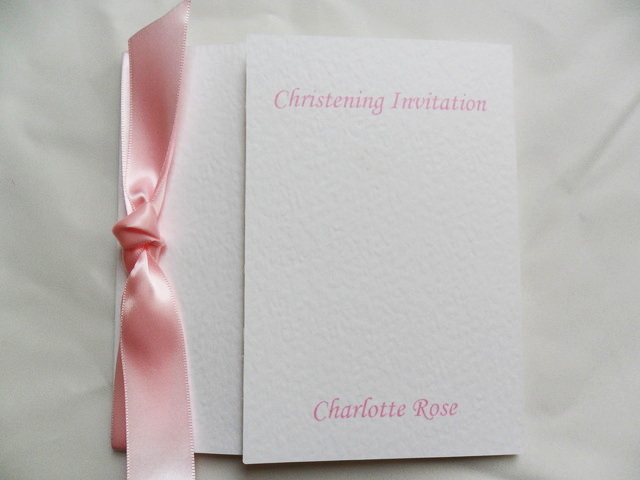 A luxury heavy weight (270gsm) hammered card christening invitation available in white or ivory. Price includes all personalised printing both inside and outside and a matching hammered envelope. 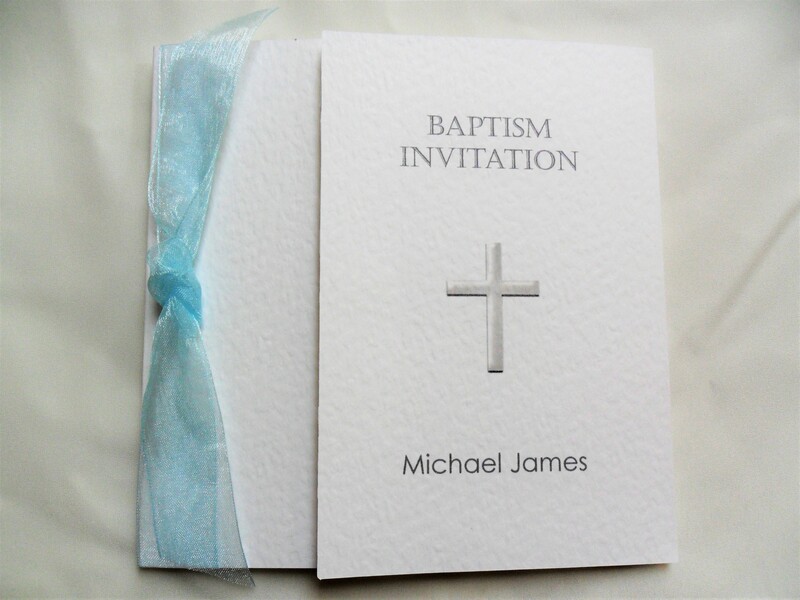 We can print your child’s name on the front of the invitation and/or a crucifix if you wish. This style is supplied with velcro closers for you to apply. 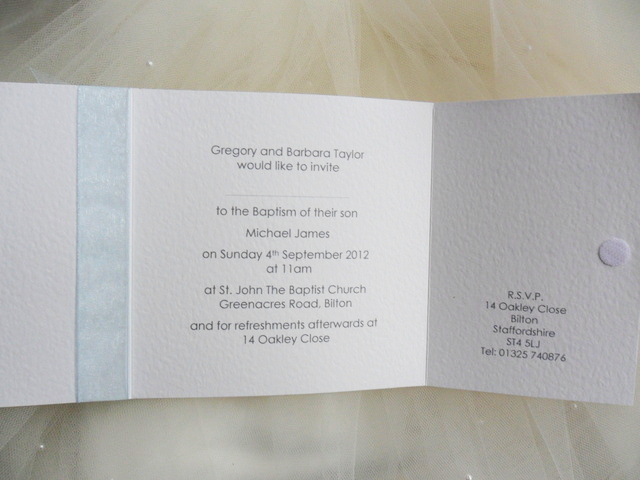 Choose your card colour, ribbon colour and font choice to personalised your invitations. Crucifix is optional, we can include a photograph if you prefer. Centre panel for invitation details and two side panels for additional information. We have short lead times, our printing is done in house. 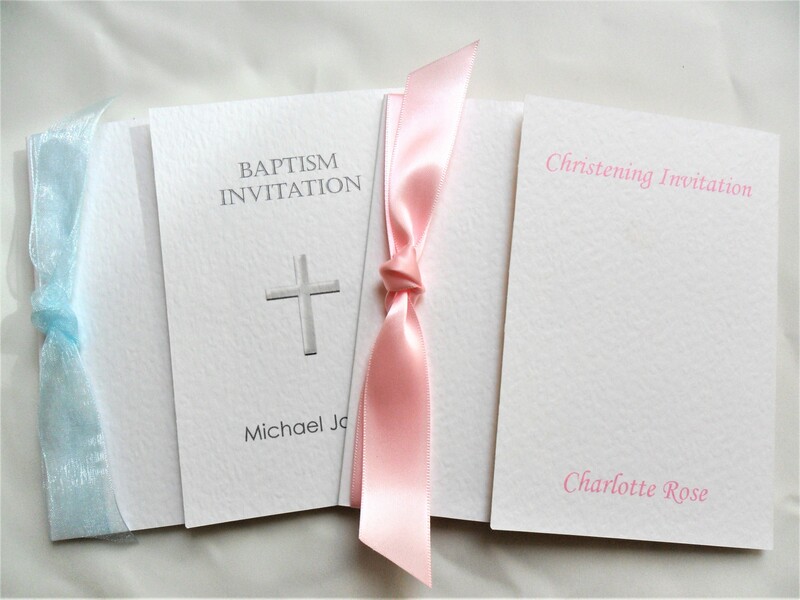 Invitations and stationery can be ordered and supplied within a short timescale, usually 3-4 days for quick delivery in the UK.